Gingeval tissue surrounds the roots of teeth. On rare occasions, this tissue becomes abnormally large, a condition known as gingival hyperplasia. The enlargement does not result from cancerous malignancy, but from excessive growth of normal tissue. Children may suffer this abnormality for a variety of reasons. 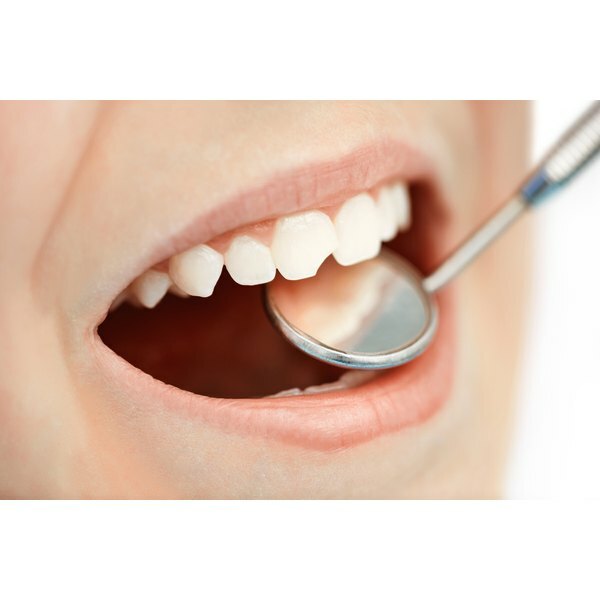 Gingival hyperplasia involves the excessive growth of either the epithelial tissue that lies on the surface of the gums or the connective tissue that lies beneath the surface. Prickle cells proliferate, and rete ridges become abnormally long. Prickle cells are rough-looking cells that normally form an orderly layer in the epidermis. Rete ridges are epidermal cells that jut into the dermal layer beneath it. Such irregularities in the gum tissue provide havens for bacterial growth, and complications may result, such as the inflammation of the gums known as gingivitis. Enlargement of gingival tissue also causes emotional distress and adversely affects facial appearance of people of all ages. Young children may experience difficulties when new teeth breaking through the gums. In some cases, children suffer congenital gingival hyperplasia. This means that the condition exists when the child is born. The condition is often associated with some other congenital abnormality, such as hypertrichosis, a condition in which body hair grows in abundance. People of all ages, including children, may suffer gingival hyperplasia as a result of some systemic diseases. The “European Journal of Dentistry” reports a case in which gingival hyperplasia proved to be a symptom of a cancerous condition called acute myeloblastic leukemia. Since excessive gingival growth is an early symptom of the disease, its presence in the patient gave timely warning to the serious underlying disease. Prompt treatment of the leukemia resulted in an amelioration of the gingival disorder. Other similar forms of leukemia also cause gingival hyperplasia, such as myelomonocytic leukemia. Gingival hyperplasia may result from the use of prescription medicines such as cyclosporine, a drug that depresses the immune system, and amlodipine, a calcium-blocking drug given to patients suffering hypertension. Phenytoin, a drug used to treat epilepsy, causes an especially large number of gingival hyperplasia cases. Children suffer this side effect more frequently than adults, and boys suffer more frequently than girls. Discontinuance of phenytoin reverses the condition but does not completely cure it. Proper oral care may minimize a child’s chances of suffering from gingival hyperplasia. Brushing the teeth regularly and the proper application of dental floss promotes a healthful oral environment in which abnormal conditions can develop only with difficulty. Is Goldenseal Root Safe for Kids?